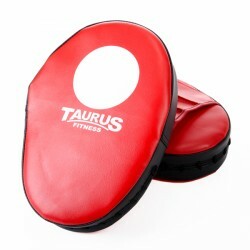 The Taurus hook and jab pads Deluxe are a good workout accessory to improve reaction and coordination. They are ergonomically shaped and well absorbed - suitable even for ambitious martial art sportsmen. 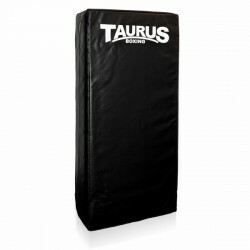 The Taurus Kick and punch pad XXL is excellent for intensive kick and punch workouts thanks to its size and quality. 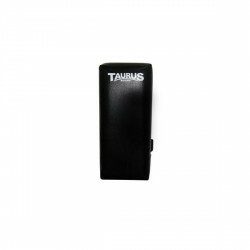 Exercise especially reaction and coordination abilities with the Taurus hook and jab pads. 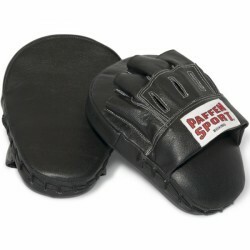 The synthetic leather hook and jab pads are curved and offer good absorption. 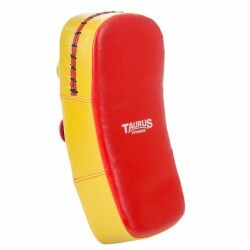 The Taurus Strike Pad is a coach hook and jab pad to exercise special punching series. The Taurus Strike Pad is fixed to the arm of the coach by hook-and-loop fasteners and absorbs punches and kicks thanks to a high-quality absorption. Suitable for punch and kick training ! 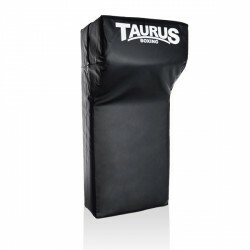 The Taurus Kick and punch pad XXL Combo is excellent for intensive kick and punch workouts thanks to its size and quality. 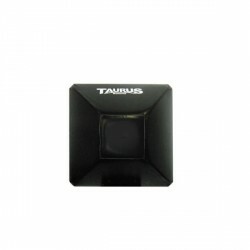 Taurus's wall kick and punch pad gets mounted to a wall and has a large surface to offer to the user. The Taurus wall punch pad's pyramid like shape makes a great variety of punch combinations possible and hence tops off your fitness boxing training. 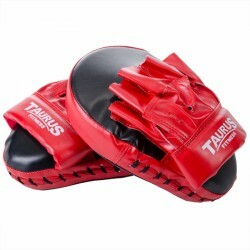 The Taurus arm punch pad (Makiwara) made of durable special synthetic leather is perfect for punch and kick training of all kinds of combat sports. The adidas Professional Focus Mitts Heavy Weight are of excellent workmanship and offer the Climacool technology in finger zone a very good absorption. The adidas hook and jab pads are comfortable and safe thanks to hook-and-loop fastener. Improve especially reaction and coordination with the Paffen Sport hook and jab pad Allround Eco. The Paffen Sport hook and jab pad Allround Eco is ergonomically curved and has a very good foam padding. Exercise especially coordination and reaction with the Paffen Sport combi hook and jab pad Fit. 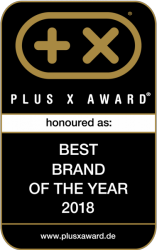 It is made of hard-wearing synthetic leather. The hook-and-loop fastener provides safe and comfortable fitting. Focus mitts and kicking shields are parts of basic equipment of many martial arts and are of an important role for the workout. It's not only for boxing- Focus mitts and kicking shields can be used for almost all martial arts and offer a great variety of training. Improvements in stamina, speed, and capacity of reaction as well as punch and kick techniques are quickly and precisely realized by means of this training equipment. We offer you focus mitts and kicking shields for workouts two by two as well as kicking shields for wall mounting and makiwaras for training without training partner. 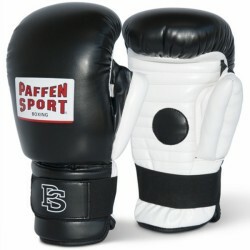 Furthermore, we offer you focus mitts for sparring to offer you the appropriate training equipment for each situation.